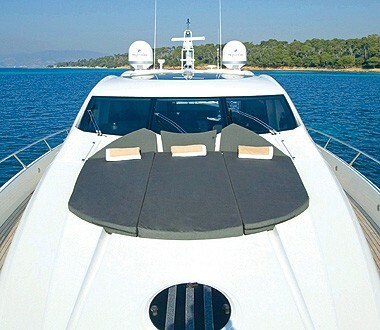 Motor yacht SAMANA is a Sunseeker Predator 82' that measures 24,97 meters (81.9 Feet) in length. 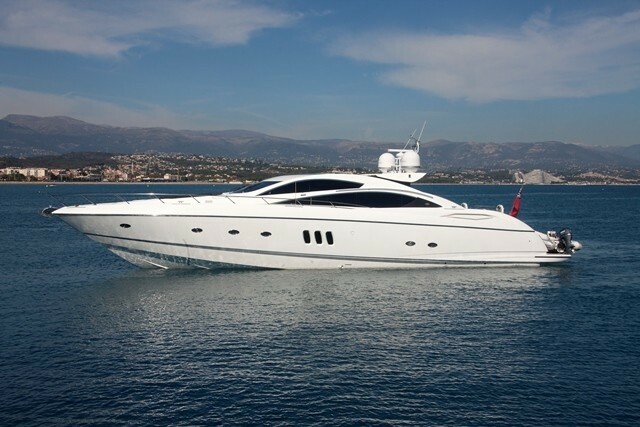 The yacht SAMANA was built by Sunseeker Yachts in 2006 and is a sleek and fast Sports Cruiser with a planning hull that is able to attain a maximum speed of 35 knots. 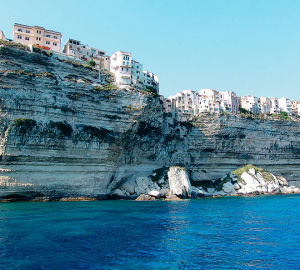 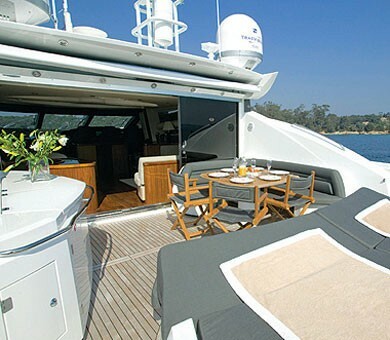 M/Y SAMANA is able to accommodate up to 8 guests and is based in the Western Mediterranean year round. 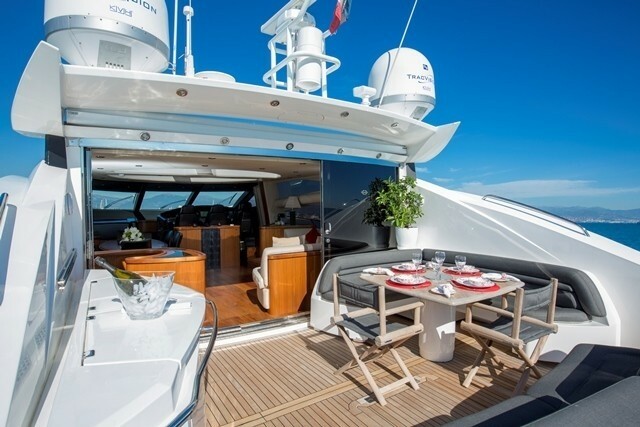 The Sunseeker Predator 82' yacht SAMANA is a modern charter yacht that features a host of amenities perfect for the ultimate charter experience. 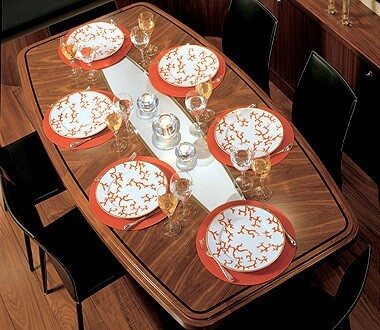 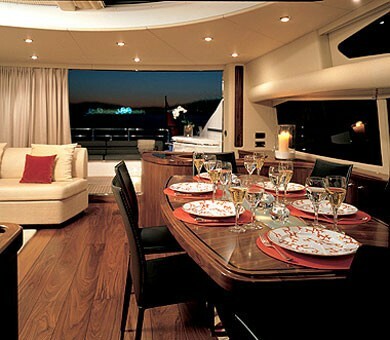 Yacht SAMANA boasts an elegant and sophisticated interior that features dark American walnut and soft neutral fabrics. 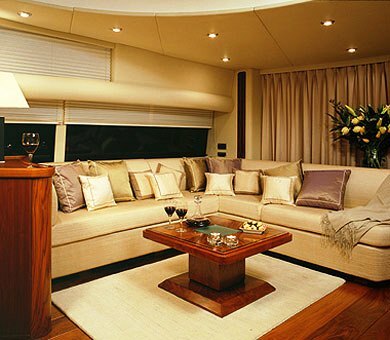 The vast salon located on the main deck is comprised of the bridge, the dining table and the large comfortable sofa. 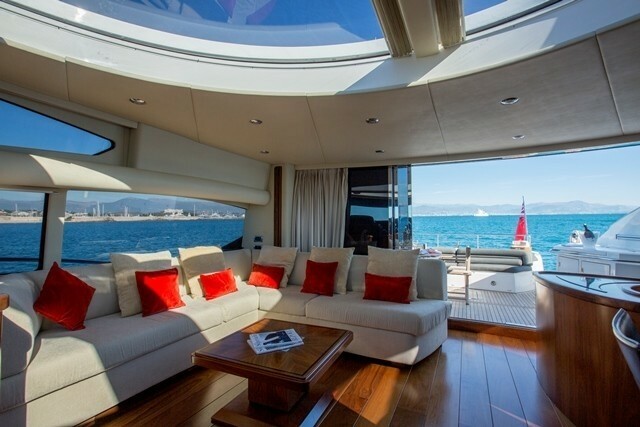 A special feature of the salon is the unique rotating glass sunroof which opens to allow natural light and fresh ocean breezes to filter through. Motor yacht SAMANA is able to accommodate up to 8 guests in a flexible and convertible cabin configuration. 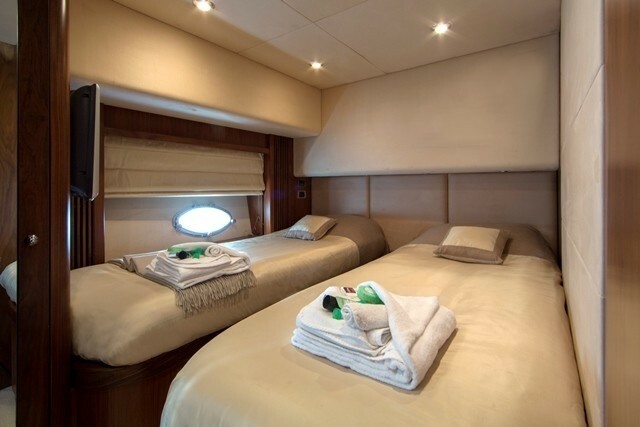 The cabins, located on the lower deck consist of a King sized master cabin, a Queen sized VIP cabin, a convertible twin cabin (which also converts to a Queen sized bed), plus an upper and lower berth children's cabin. 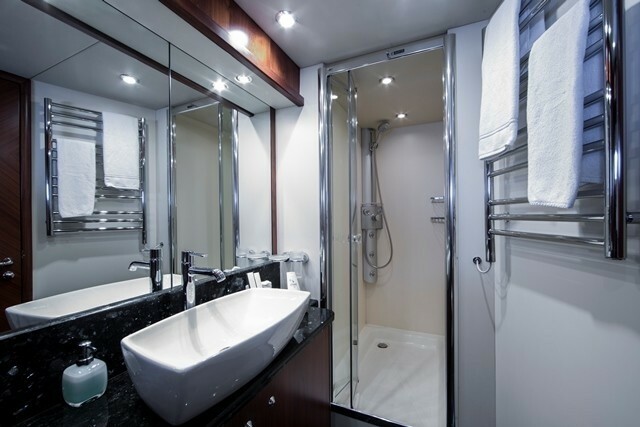 Each stateroom has its own ensuite bathroom facilities with showers and the cabins are equipped with all the amenities a guest would expect of a luxury yacht. 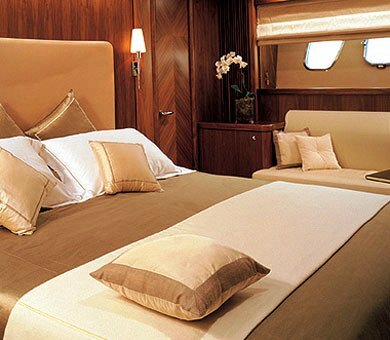 All areas of the SAMANA yacht are air conditioned with individual climate control units available in each cabin. 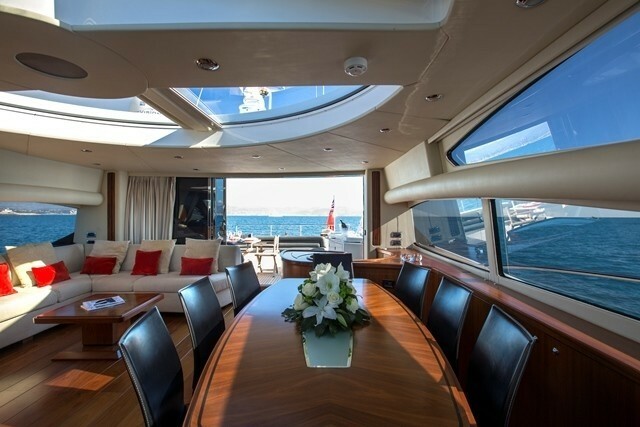 The large aft deck area on M/Y SAMANA is the perfect spot to relax in the warm Mediterranean sunshine and is well served by an al fresco dining area and full wet bar. 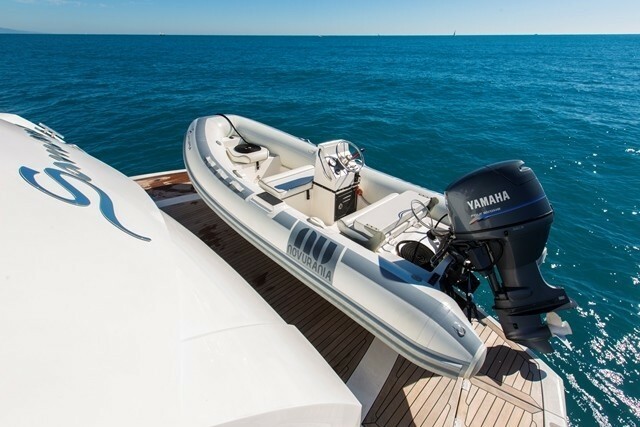 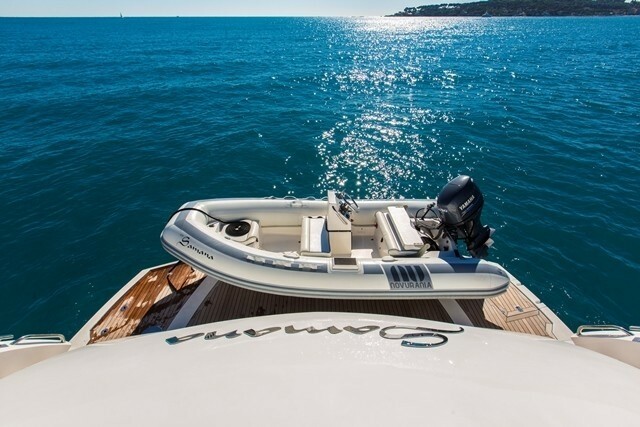 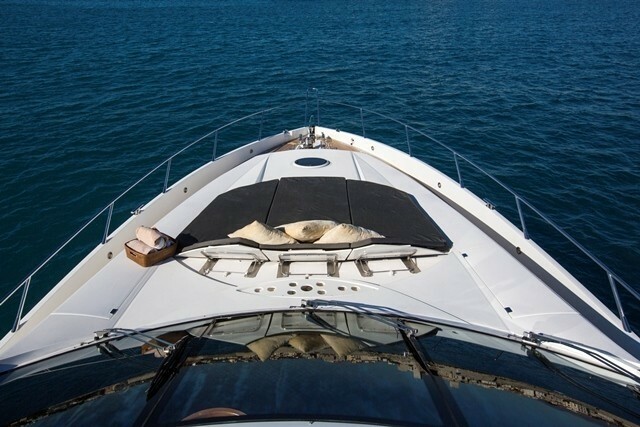 There is a comfortable sofa seating area and a large sun bed that make the aft deck a perfect area to relax when cruising at high speeds, or anchored in a tranquil bay. 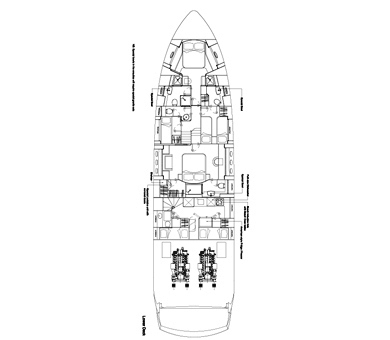 There is a large swim platform that is accessed via staircases to both port and starboard of the main deck. 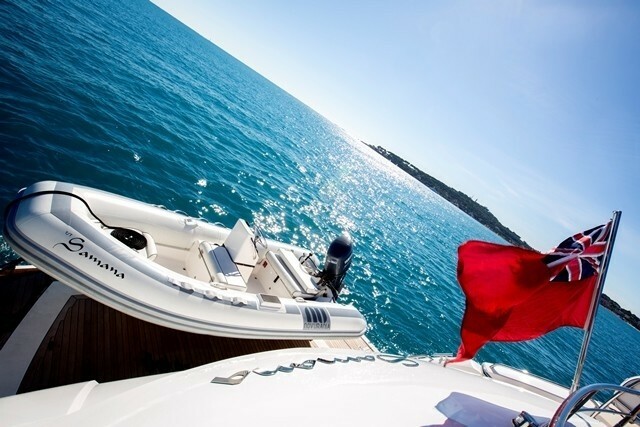 The large bathing platform is the ideal sport to dive intot he water, board the tenders or have fun with the yachts water sport toys. 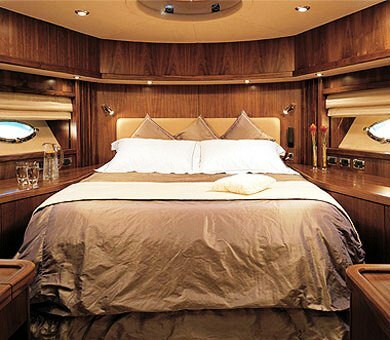 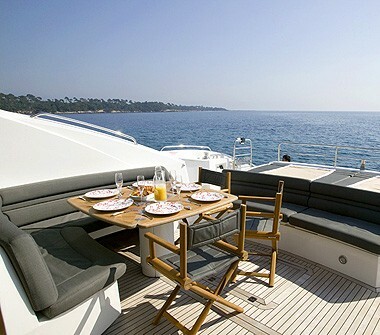 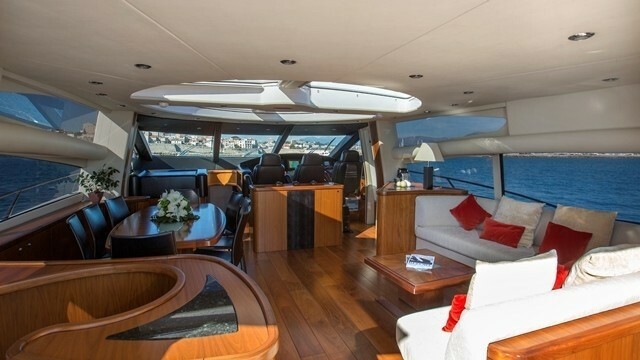 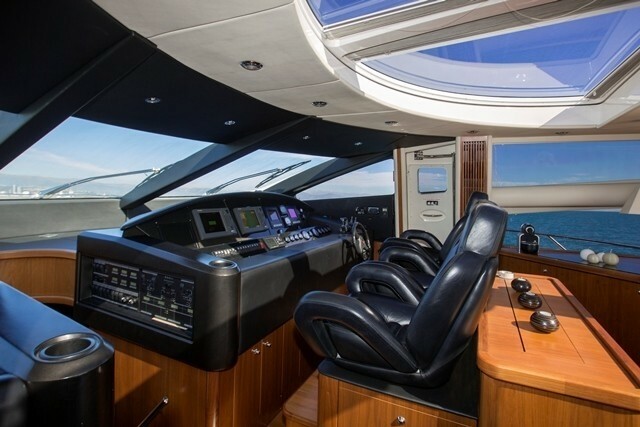 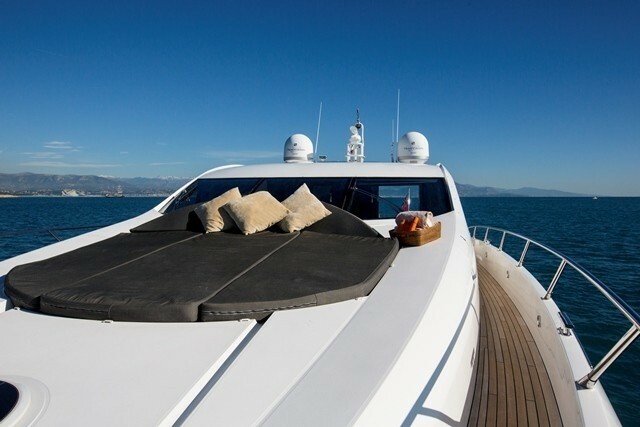 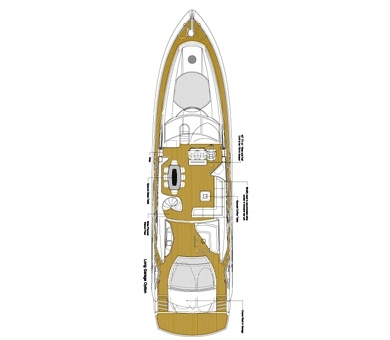 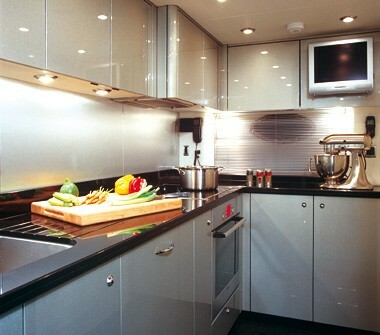 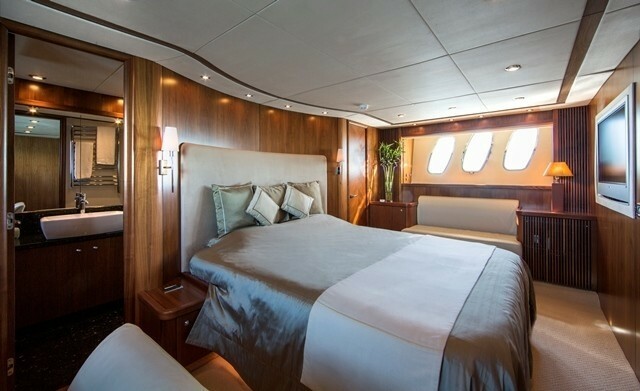 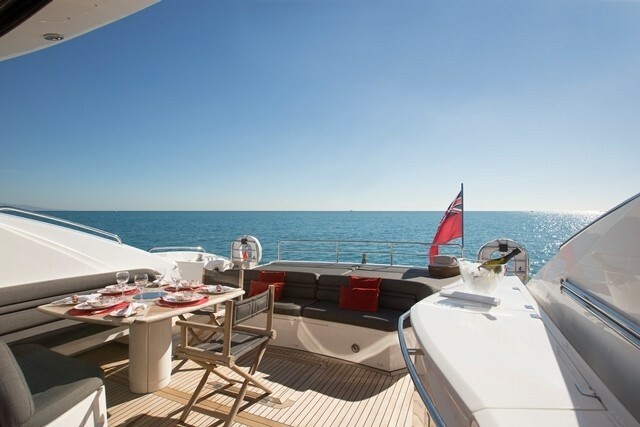 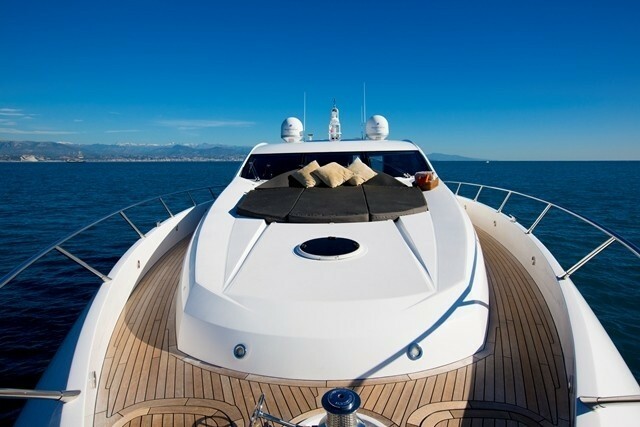 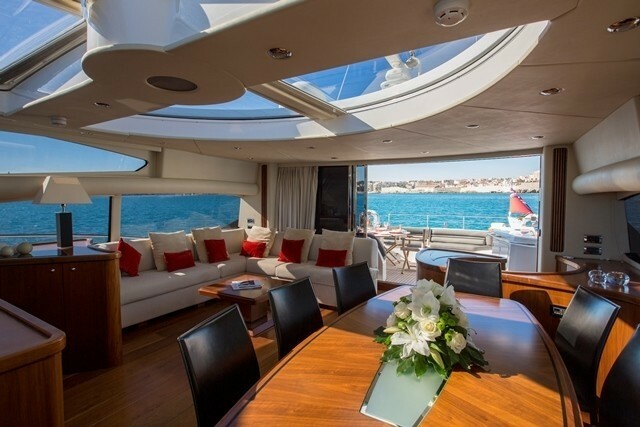 The SAMANA motor yacht also has a foredeck area that features a large sunpad with adjustable headrests and sunshade. 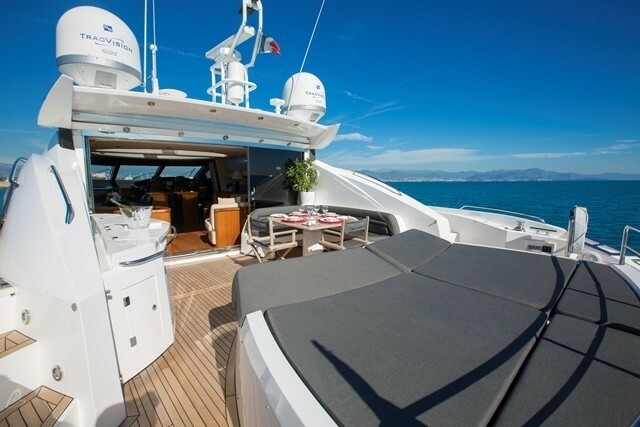 With her fast speed, luxurious interior and various amenities, charter yacht SAMANA is perfect for cruising along the Cote d’Azur in the Western Mediterranean. 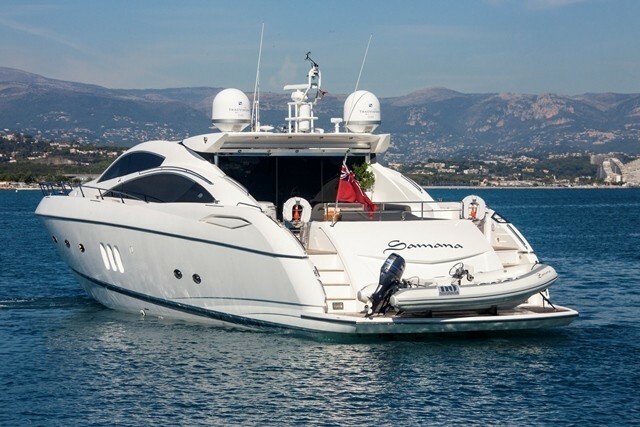 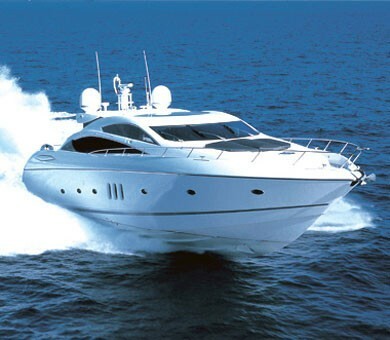 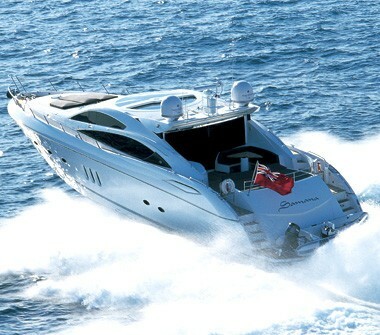 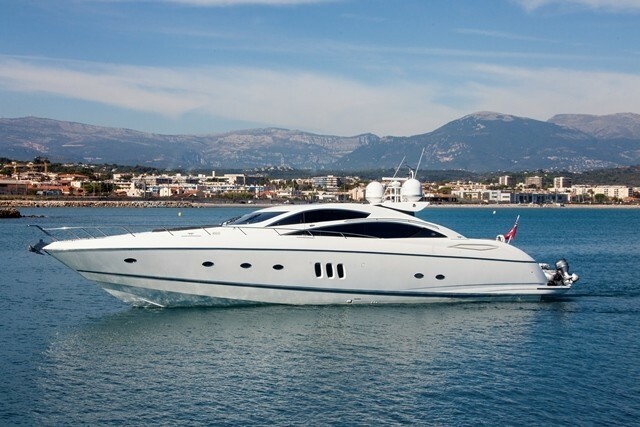 The Sunseeker motor yacht SAMANA is able to accommodate up to 8 guests is a flexible and convertible cabin configuration. The cabins consist of a King sized master cabin, a Queen sized VIP cabin, a convertible twin cabin (which also converts to a Queen sized bed), plus an upper and lower berth children's cabin. 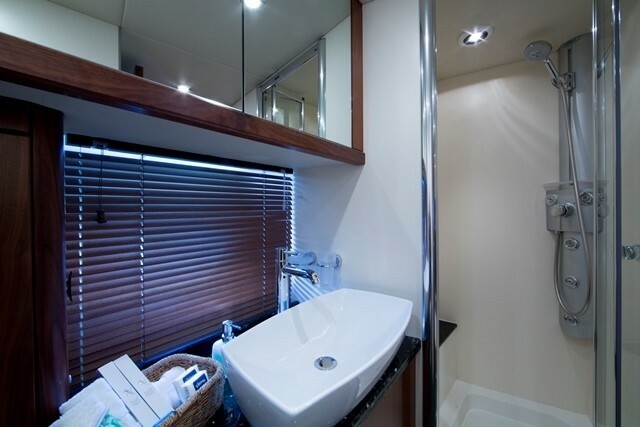 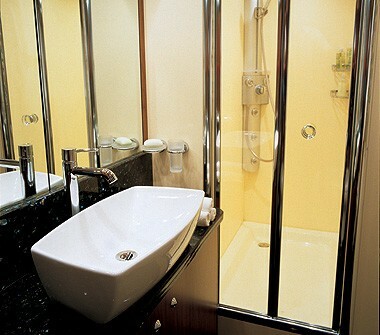 Each stateroom has its own ensuite bathroom facilities with showers and the cabins are equipped with all the amenities a guest would expect of a luxury yacht. 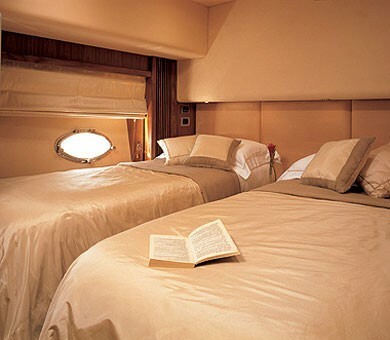 All areas of the SAMANA yacht are air conditioned with individual climate control units available in each cabin. 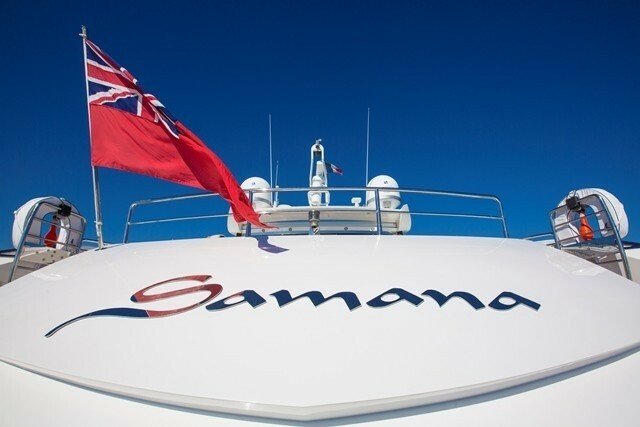 SAMANA has the following Tenders & Toys for charter guests to enjoy. 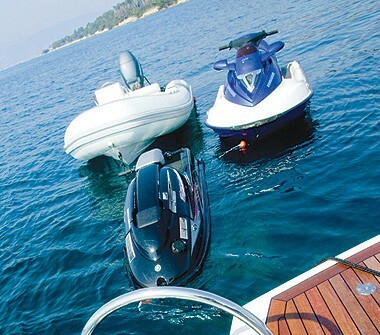 A Novurania 4.00m, 50hp Yamaha Outboard, a Yamaha GP 1300R waverunner, a Yamaha 700 Super Jet Stand Up Jet Ski, Water skis, mono-ski, wake board, ring, marks and snorkels. 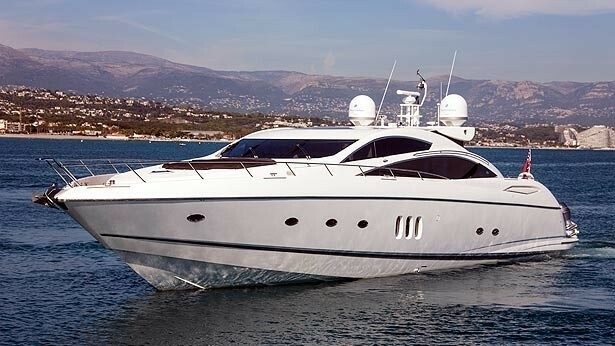 Communications include Fleet 55 Communications, GSM / GPRS Communications, Audio Visual Equipment and Deck Facilities include Satellite Television, Bose surround sound Audio Visual Entertainment system.